Partly cloudy this morning with thunderstorms becoming likely this afternoon. High 69F. Winds WSW at 5 to 10 mph. Chance of rain 80%..
Showers and thundershowers this evening will give way to steady rain overnight. Low 44F. Winds N at 5 to 10 mph. Chance of rain 90%. The snow melted and now we have horns (antlers) everywhere. Ruthie Smith will be a teenager soon. 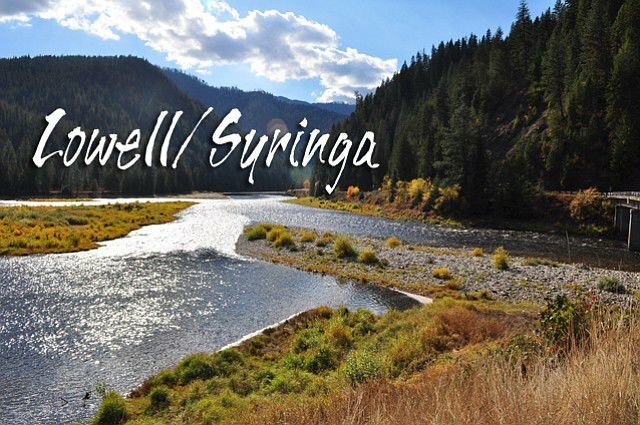 Lowell/Syringa News: Fish stocking, slash burning and birthdays, oh, my! LOWELL / SYRINGA -- Horn hunting season is in full swing; this time of year, you can get out there and not have to catch a fish or shoot anything, no blood and guts necessary. We have April, and sunshine, and bees and geese circling the confluence. Wild turkeys everywhere and we even had dust. It got up to 63 degrees here yesterday and we might need sun block. I see neighbors burning weeds and slash, and Fenn Pond has new fish; they stocked it on Monday, April Fools Day. Hope they got the right pond and the right fish on that tricky day. The Idaho Fish and Game has all their equipment working on the fish traps upriver. It’s quite a job but necessary to keep records for future of the steelhead and salmon. Miss Ruthie Smith will be a teenager, 13 years old, on April 19. Her uncle Marty will be #% this Saturday, April 6. Two Smiths from Lowell with April birthdays. Don’t forget upriver businesses are ready for the whitewater season to begin. Guide trips are starting this week. ROW at River Dance Lodge is about to open, Wilderness Inn is now open, and Three Rivers Resort is open as well; it’s springtime in the Rockies!